***I am a member of the Collective Bias® Social Fabric® Community. This shop has been compensated as part of a social shopper insights study for Collective Bias® and ALLEGRA® #cbias #SocialFabric All images and altered screenschots are original content copyrighted to Momma Told Me Blog, 2013. Momma Told Me: That's not a cold- it's allergies! Having spent over a quarter century in sunny Southern California, just minutes from the beach, and surrounded by farms and fields, I am no stranger to the 'A' word. Growing up, it was almost forbidden to use the term in our household. In a similar sense to one coming down with a 'cold' or 'flu' Momma, and especially Pop, would adamantly maintain they were not succumbing to this treacherous pest, but simply 'had something in their eye, or were coughing from the dry Santa Ana winds. Yes, living in a year-round utopia of mild, sunny, climate, is as much a curse as it is a blessing. Those who boldly go out to explore Earth's playground need to be well armed with some vital information and a few secret weapons. I'm talking, of course, about allergies. Air born irritants can cause an allergy flare up both indoors and outdoors; even the smallest of allergen particles can send a sufferer reeling through sneezing spells and watery eyes. And, while there are many degrees of allergy sufferers, and irritants, there needs only be a few simple solutions to keep them in check.While allergy season may just be blossoming where you live, I keep my arsenal stocked, year round, with prescription strength, over-the-counter allergy fighting aids. And now, thanks to Allegra #MyAllerGenius has multiplied this intelligent counter-attack ten fold. By simply directing my web browser to MyAllerGenius.com I can browse a multitude of carefully curated resources for allergy sufferers. Allegra's daily Pollen Count alerts can be sent directly to your phone for a daily breakdown of the top irritants and a weekly outlook of conditions. When you live in a region of the country where dry and windy conditions can result in a brush fire at the turn of moment (see my lovely editorial photo from earlier this week, above); the sky is subject to rain ash and a myriad of external allergens. 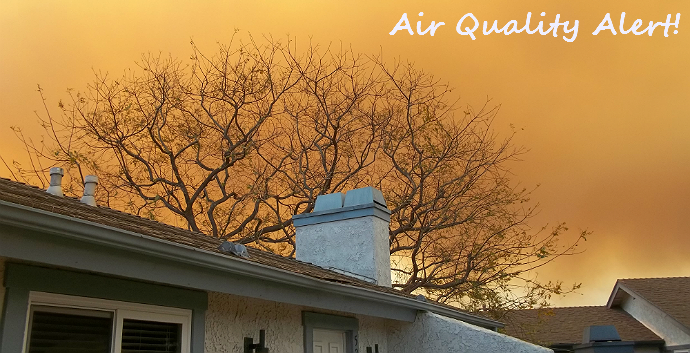 Knowing the projected air quality forecast is vital to making family plans that are healthy and positive experiences for the entire family. Thanks to the handiwork of of Allegra, the #MyAllerGenius site can not only save your family unnecessary sniffles, but money as well. Allegra has a comprehensive range of fast acting, over the counter, Allergy medication for family members 2 and up. Their products include easy Quick Melt Tablets, Berry Flavored Liquid Suspension (for the kids), and the extra powerful Allegra-D with added decongestant. Surf on over to the #MyAllerGenius 'Save' tab for ready to print coupon savings on several of their most popular products, including a special mention of this month's $6 off Allegra 45ct CVS ExtraCare member's deal. Our local CVS has the traditional Allegra 24 hour 5 tablet count in stock, compatible with the current $2 printable coupon, giving you no excuse to grab a trial of Allegra and feel the difference for yourself. For those of us affected by the less than glamorous results of an allergy ridden system, there are even beauty tips (like wash the pollen off your face with a simple rinse at night), to keep us fashionistas looking glamorous! Our family loves to get up and get outdoors. There aren't too many 'big' attractions in our small Southern California town, so outdoor activities make the most of the natural playground in our backyard.Once a week, as Fridays are a half-day for Sabrina (10) at school, we try to plan an outing that is fun and engaging for the whole family. Because we have everything from the beach and pier, to open family farms, to play in, the allergens we encounter are numerous and never-ending. One of the activities our family particularly enjoys is called Geocaching; the act of using a GPS aid to hunt down hidden trinkets in a never-ending global scavenger hunt. This activity is also completely free, and can be done anywhere, but was put on hold this week when our chosen Geocaching area was covered with a dense cloud of falling ash from the nearby brush fire. Instead we looked up a few local Pollen count reports on the Allegra MyAllerGenius portal and decided we'd brave the Pick-Your-Own farms about 30 minutes away. Convincing Sabrina to spend an afternoon on the farm isn't really 'convincing,' she begs for a chance to go back to this hands on paradise. The adults, on the other hand, are often hesitant of encountering the numerous air-borne allergens that come along with farm living. For those who think Hay Fever is a cute and fun phrase for an allergy attack, there is nothing playful about this effect from inhaling dust mites, animal dander, and pollen. Like an instantaneous cold, one's carefree outdoors enjoyment is struck down with burning, watery, eyes and cold like symptoms including sneezing, sinus pressure, and a runny nose. I wish I could say any of us were immune; and while I tolerate it the best, this is not the case. Just 20 minutes into a typical farm visit Sabrina will begin to exhibit symptoms of Hay Fever to the point I'm noticeably alarmed and demanding she 'slow down.' At 10, Sabrina is ultimately determined to have fun and enjoy a good farm day no matter the misery, but the adults know it is not an acceptable price. This week we put over the counter Allegra allergy medication to the test in both the Children's Indoor/Outdoor liquid suspension, and fast acting 24 Hour Tablets. While the other half can take the Allegra D, decongestant fortified, formula, I have various drug interactions and cannot. As with any medication it's important to always consult yours, and your family's, regular physician for any possible side effects or drug interactions. There are some great drug free allergy fighting tips, and essential dosing information on the main Allegra website. Choosing the right allergy medication for you and your family may seem overwhelming at first, but the positive impact is well worth the due diligence. All Allegra formulas feature the combined benefit of being fast acting and non-drowsy, something the leading competitors can't claim. I was a bit skeptical of the 'speedy' claim, and, myself, was quite shocked how quickly my allergy symptoms seemed to vanish after taking my initial 24 hour dose. In the past Sabrina (10) has accepted allergies as a fair trade for a fun day on the farm; though I am considerably thankful she no longer has to. From petting the goats to climbing the giant pyramid of hay, riding the oil barrel caw train, and sliding through the old John Deere tractor, to picking 12lbs of strawberries in the fields, our family remained sniffle free. The multitude of delivery options, liquid, easy swallow capsules, melt-away tabs, etc offers a versatility in fast acting allergy treatment I especially appreciate. 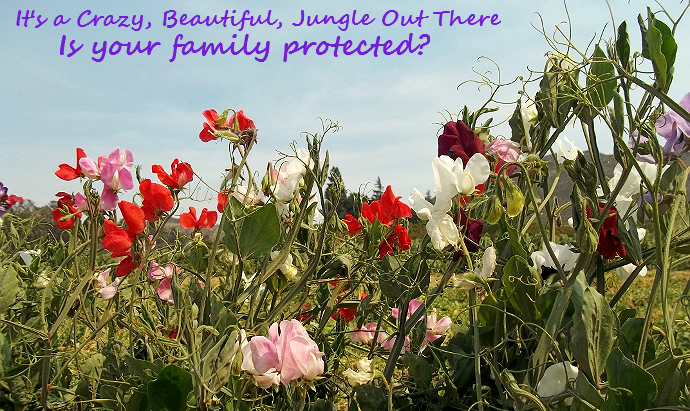 Having the MyAllerGenius companion site to extend my everyday allergy medication savings, and keep me informed to local Pollen Count alerts, means I am sufficiently armed to get out there and play in my Crazy, Beautiful, Backyard year-round! 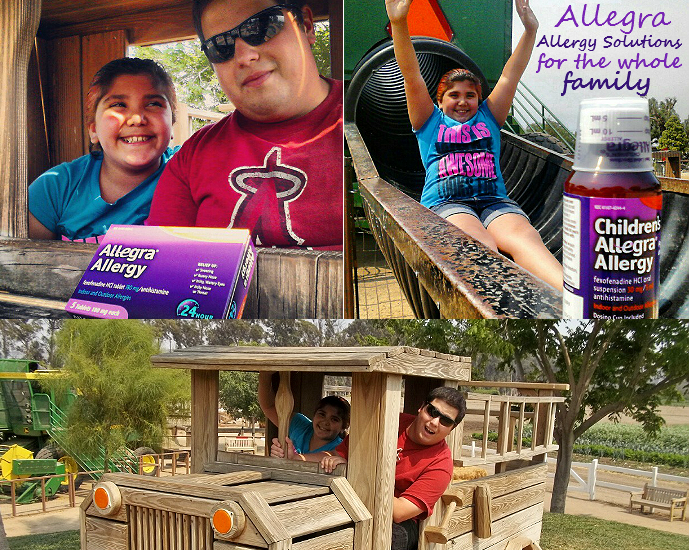 Allegra and CVS would love to invite you to their MyAllerGenius Twitter party at 1PM EST on May 14, 2013 to share allergy busting tips and learn more about how Allegra can keep your family happy out and indoors all year long. 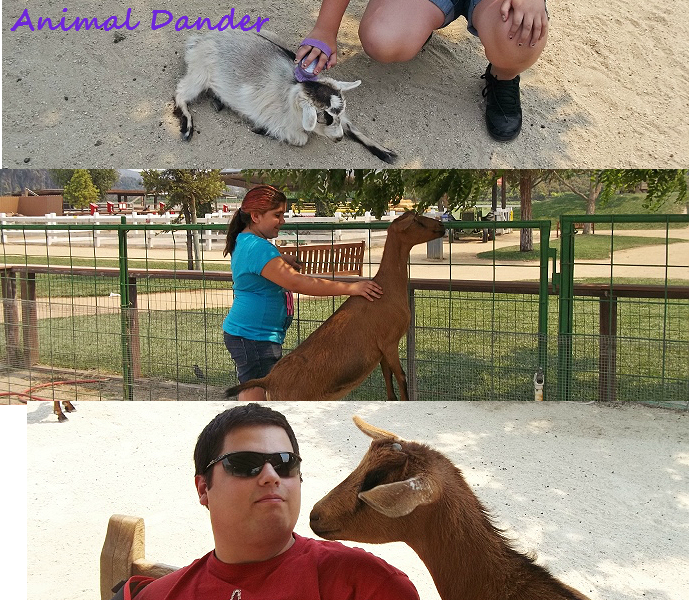 For more behind the scenes photos from our day on the farm, and how I shop for my family's allergy needs visit our Google + album. What Daughter Says: Wrestle with colds, not allergies; thanks to Allegra. All kidding (no pun intended) aside this sounds helpful. We are entering fire season so between smoke in the air and the trees coming into bloom it's about to be hell for the hubby. Thanks for the site to check out. I have year-round allergies--environmentally triggered. Allegra was what I took way back when, and it worked well. I just may check it out again. Allegra is a lifesaver when it come to the spring and summer for me! 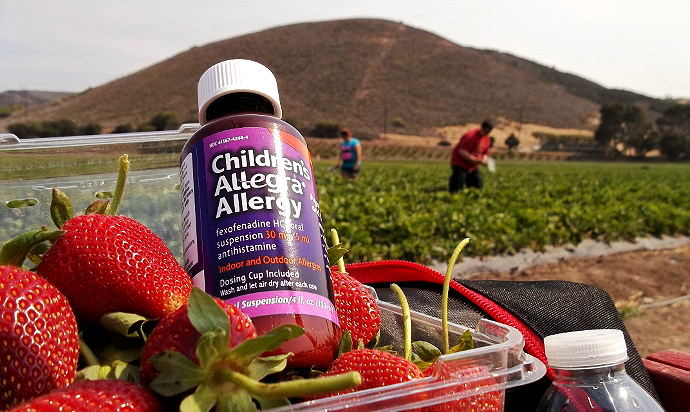 I would have to brave the allergans and head out to those strawberry fields! Thankfully I don't have allergies but I do have friends who suffer from them and many of them take Allegra. They don't leave home without it. I seem to have developed allergies over the past few years. I get horrible sinus headaches. My husband has horrible allergies, so we go through decongestants like candy! I will have to look in to the #MyAllerGenius - we have a CVS right by us! The picture with the goat is priceless! My hubby uses Allegra and it is a miracle solution for him. I love the allegra app which so clearly shows your allergic vulnerabilities for the day. My friend who has allergies too could definitively use this. I will share this post to her. So far, my kids do not suffer from seasonal allergies, but I suffer BIG time. I love my allegra! OH I am super jealous! I want to go to a hands on farm like that! That is so cool! 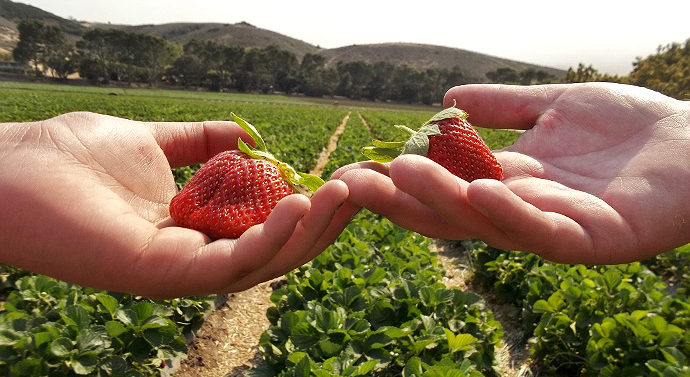 And strawberry Picking? YES PLEASE!! I literally live on Allegra from April until October. It is the only thing that combats my allergies. They are horrible! OMG! We are regular Allegra users. My son's allergies are awful, and spring is always a rough time of year. At least this helps him enjoy it a little more. I have allergies at all times of the year and it's really hard to find the right treatment. I battle with allergies year-round, but especially so in the summer, when the mold counts soar. I can really relate to the need for something that can allow for outdoor fun in the beautiful summer weather. 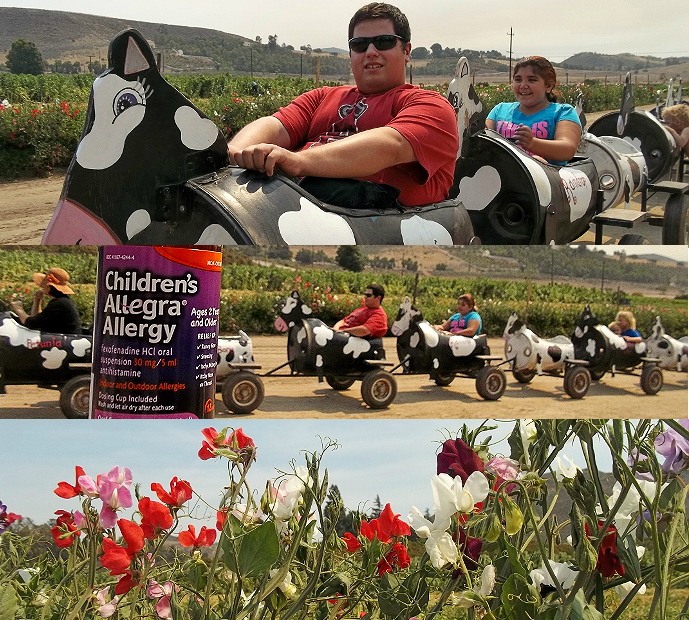 There are SO many allergy triggers on a farm; I'm glad you found a way to make it tolerable so you can enjoy yourselves! I was thrilled when Allegra became available OTC, It is the only medicine that helps me!! 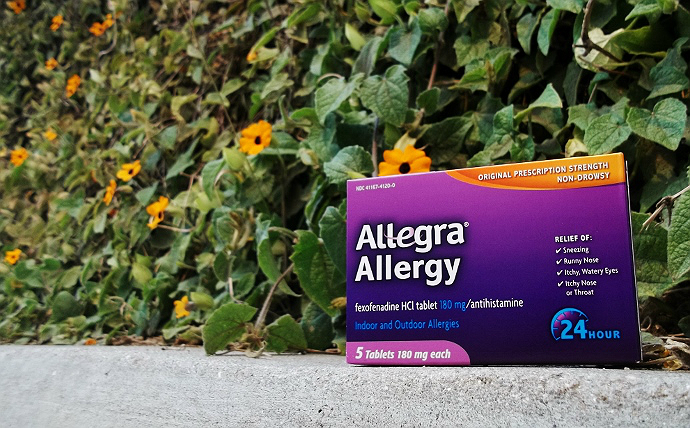 Allergies and sinus issues are a real drag, especially when you enjoy being in the outdoors - I suffer from both - when tree pollen goes wild, so do I. I have tried Allegra before, and it really does work. I discovered Allegra about a year ago and I'm so glad I did. I can't believe there was something out there that worked for me and I didn't know about it! All those years of suffering. I always find great coupons for them too!